To clean daggertooth pike conger that is full of fine bones, the knife is made heavy by making the mine (spine) thick. 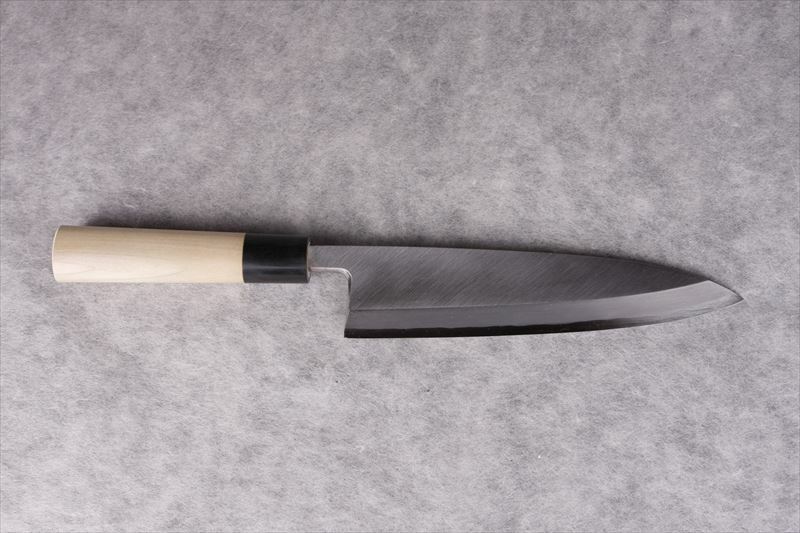 On the other hand, the knife's hasaki (edge) is made thin so that it can finely cut bones. Generally, the bottom 2/5 of the edge is used for chopping and top 3/5 is used for cleaning fish. 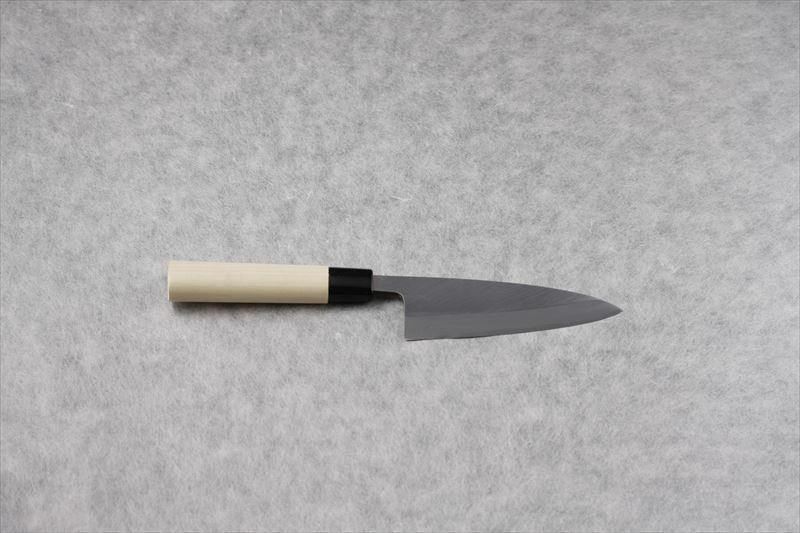 Depending on the length of the knife, it is used for large fish like Japanese amberjack and bonito or for small fish like horse mackerel. You can cut a fish, bones and all, by using its weight. 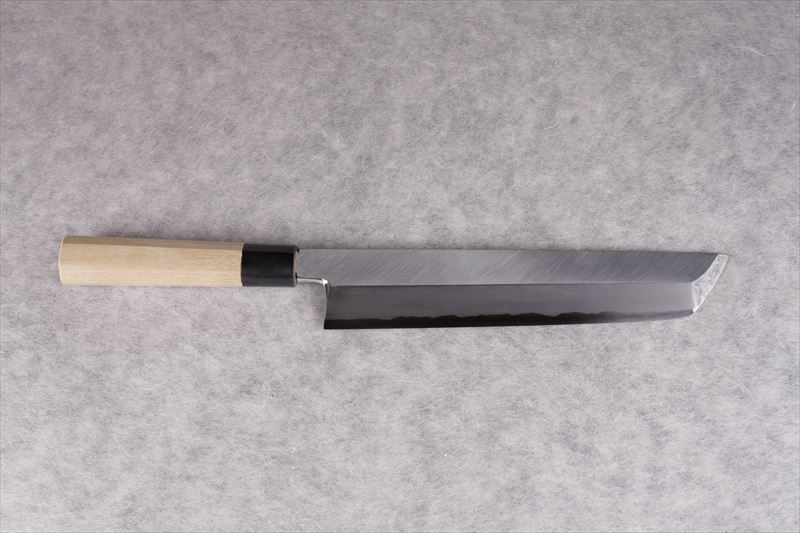 It is a knife like a cross between a sashimi knife and a deba knife, and is commonly used at the fish market. The blade is long and is thicker than shobu but thinner than deba. 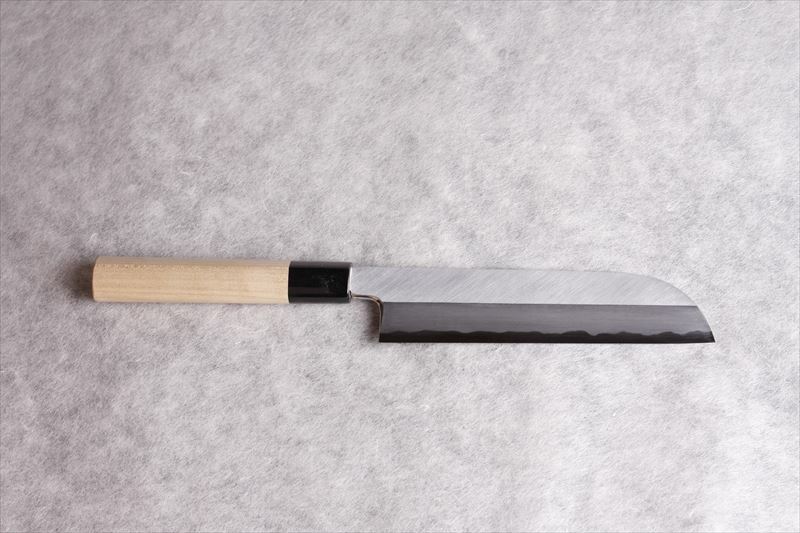 It is thinner than a deba knife and is used to clean horse mackerel. Usually, it is sold in lengths of 90 mm to 120 mm. Besides migaki (*), kurouchi (**) is also popular. *A knife that is silver overall like you see frequently, by polishing the "ji" (the base of the knife made by smiths). **A knife with the kireha part polished while leaving the obverse side of the "ji" black. 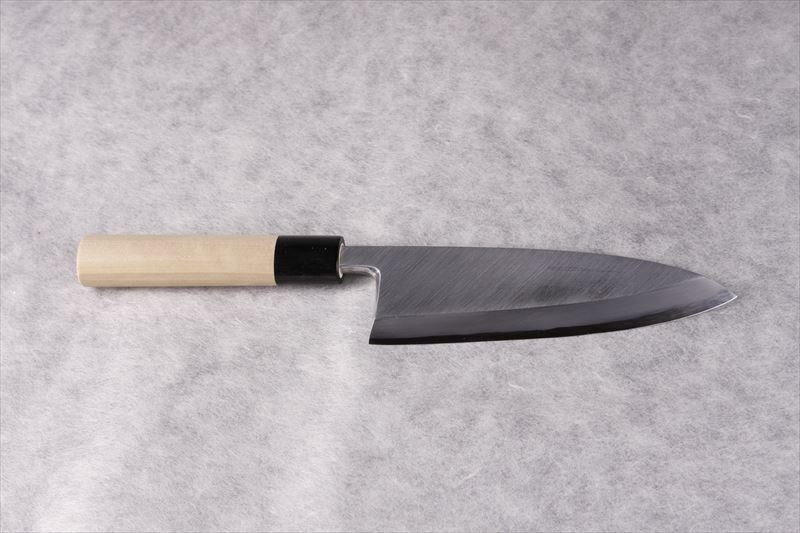 A deba knife made thinner which is usually used by people who feel deba is too heavy. Because it is thinner, it is easier to chip than deba. 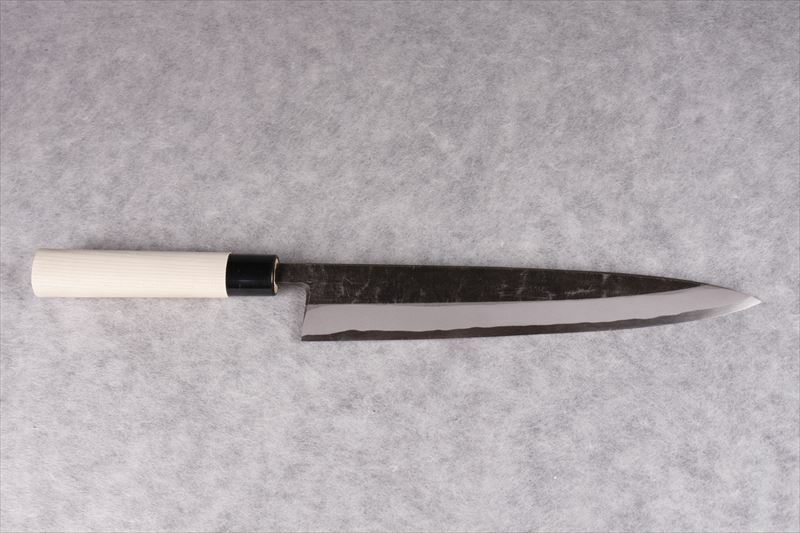 This is a Kansai-style usuba knife, defined by its round kissaki (point). The heel is used to strip off skin, the middle part is used to peel skin and bevel edges, and the tip is used to make decorative cuts.